We went Paleo about 5 months ago and have noticed how my little girl still craves toast and cereals after all this time. So as we are figuring this whole lifestyle change out- we decided to trial her on some buckwheat. There is no one size fits all for lifestyle changes and some bodies need more proteins, others more grains. It’s just a matter of trying a tiny bit and watching for any adverse reactions. 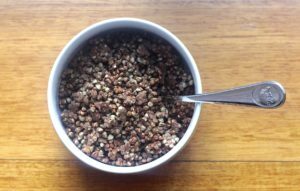 As she loves cereal I decided to make her an activated buckwheat version of the high sugar, zero goodness coco-pop cereal she adores. My boy is still full Paleo as his body is thriving on it but we are mixing things up a little for my daughter. The introduction of buckwheat has not affected her one bit and she is loving cereal for breakfast again- we give her a plate of greens before she gets the cereal and I have never seen veggies disappear as fast! 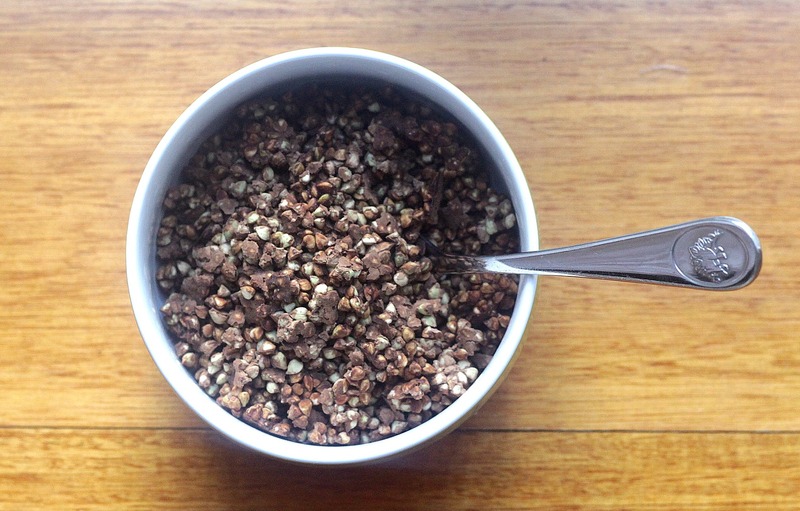 Soak the buckwheat grouts in a glass bowl with filtered water. Add 2 tablespoons of the raw Apple cider vinegar and stir. Leave to soak for 8 hours at least. Rinse the buckwheat at least twice with filtered water over a sieve. In a fresh bowl mix the cacao and maple syrup with the buckwheat. Dehydrate in a dehydrator at 45°C overnight or use an oven on the lowest heat.